As Architects, we do all kinds of Projects and Construction Management (New Refurbishment and New Build) in the field of Architecture and other associated professional fields (Building, Urban Design, Interior Design, Gardening and Landscape). Our scope ranges from conducting small-scale interventions such as small refurbishment for individuals with minimal budget, to the development of projects for public administration or private equity real estate developers. Since 2012 we have performed turn-key projects for foreign customers looking for homes on the Costa Blanca coast. We advise on all aspects they need in their own language and we speak fluent English, French and Dutch. Our method is similar to that followed by a tailor, each project we develop hand in hand with our customers, to get a result that meets exactly what their needs. We carry out your reform project, we manage all licenses and administrative authorizations (building permits, opening or activity), and manage the work to its full completion. We offer a comprehensive service where, if you wish, we can take charge of hiring all stakeholders (businesses, offices, industrial, etc.) and of course, also advise you on the equipment and furnishing of your premises or living place. If you are interested in building your own house, we can advise you on finding the ideal plot, developing the whole project step by step with you; and assuming in your name the overall management of the work. During the design process, aided by virtual reality, you will be able to verify that the end result fits exactly with what you want. We will provide a Plan which will specify all process steps, indicating cost and time, offering you complete control at any time. We are experts in residential building both public and private development. We know perfectly what a developer needs from an architect, and can offer an unbeatable service. We know how to optimize space and make the result profitable the most, projecting adjusted to previously asked standards and budgets, in a really short time. Our projects are carried out exhaustively, because they are the basis of a profitable investment. As Technical Architects, we assume technical responsibility for our own work, which is an added assurance and cost reduction. Also, we provide technical assistance services to other professionals, both during project and construction management, in which we bring our training and experience as Architects, which is of undoubted added value to the development of the work. We take part in the management team of a job when our role is legally binding, either in those construction stages that have been designed by ourselves or planned by other architects, to whom we bring an additional degree of confidence due to our experience as architects. We perform risk analysis of the work and design the safety measures appropriate for human and material resources that will be involved in the development of construction work, in accordance with the planned production rate of the works. Our experience in this area is extensive, and ranges from small local interventions to large residential projects where multiple companies and workers were involved. We carry out Quality Control in line with current regulations and as indicated in the Project Implementation, and perform the monitoring work at all prescribed levels; Document Control, Product and Execution, ensuring that each unit of work is performed in accordance with the expected quality standards. As professionals with over 15 years experience, we do all kinds of technical services related to the Production, Management and Marketing of Architecture. Our knowledge of the administration and the rules governing the Building Sector, enables us to perform Consulting and Management Services designed to satisfy any technical, legal and / or economic issue. 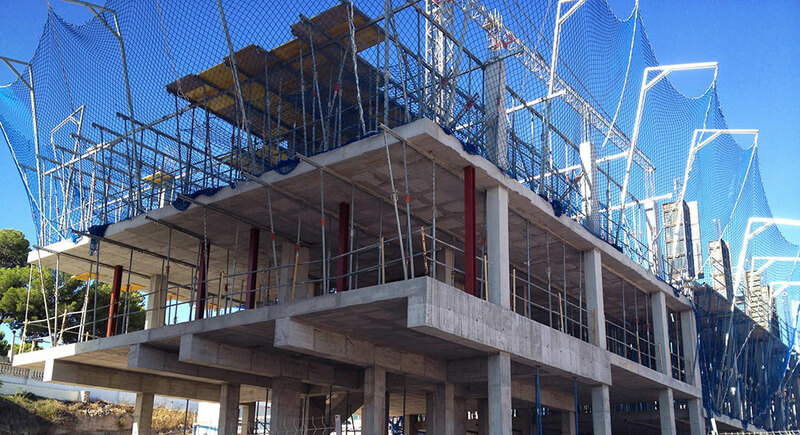 We offer technical advice on any type of activity or aspect related to the Building Sector. The scope of our technical advisory services is very broad, and essentially involves the production of information on a subject of a technical and / or economic issue related to goods, products, services or damage is required. Any activity undertaken necessarily involves obtaining various authorizations from public administration, utility companies or other offical bodies. Knowing in advance the legal framework, the method of processing and the professionals that should be involved, is a huge advantage when planning any initiative. We offer planning on any initiative intended to be undertaken and manage it, so that they can know in advance the limitations and opportunities that the activity entails, and add value to the decision making. Very often we work with clients who are unaware of the complex process of construction, in which multiple agents, procedures and variables that, if not planned in advance, can lead to significant deviations in time and cost. Faced with this problem, our study provides Project Management Services, consisting of planning, coordination and management control of a project from the beginning to completion, ensuring its execution time, cost and quality according to previously set targets.